Cuba generates millions of dollars a year through exporting doctors to developing nations, who are not paid for their work but rather offered “living stipends” that survivors of the program say barely allow for buying food. The Cuban slave doctors typically cannot see their family or ask them to visit while working abroad and must work alongside local doctors who are paid the reasonable doctor salary for the country in question. One of the most lucrative slave doctor contracts Cuba signed in recent memory was with the socialist government of former Brazilian President Dilma Rousseff, establishing a program called “Mais Médicos,” or “More Doctors.” Cuba withdrew from the program last week after President-elect Jair Bolsonaro demanded that Cuba pay its doctors a fair salary if they wish to continue operating in Brazil. In response to Bolsonaro’s demands, the Cuban government insisted in a response in state media that no doctor receive salaries because they are on a “fellowship” or “scholarship” (becarios) program and are aware that they are not working as professional doctors yet when they sign up. Diario de Cuba, citing recently published Brazilian diplomatic cables, notes that there is no evidence that the Cuban regime ever referred to the doctors as becarios while negotiating to establish the Mais Médicos program. The cables in question date back to 2012 and document negotiations between Cuban and Brazilian government representatives on how to import as many doctors as possible without causing too much political backlash in Brazil. Cuban officials are quoted as repeatedly offering the Brazilians “competitive pricing” when compared to how much other countries like China and Venezuela were paying for the doctors. At least one meeting between Cuban and Brazilian diplomats focused explicitly on “the price paid for each Cuban doctor” and the question of whether the two countries should sign a commercial agreement or an intergovernmental agreement. The latter, like a treaty, would require the Brazilian Congress to approve the program. Lawmakers with constituencies made up in part of out-of-work medical professionals would likely vote against the plan, the two nations decided, so they agreed to bring in the Pan-American Health Organization (PAHO) as a conduit for the agreement. Brazil would pay PAHO and PAHO would process the Cuban doctors, keeping Congress out of the loop. 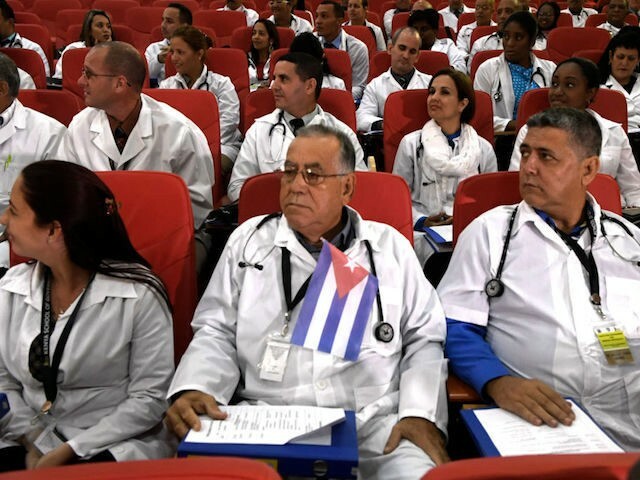 Diario de Cuba emphasizes that none of the documents show anyone describing Mais Médicos as some sort of educational scholarship program, as the Cuban government claims it is today. 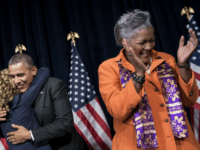 The left-leaning Brazilian newspaper Folha de Sao Paulo confirmed in its own reporting on the diplomatic documents that both nations schemed to avoid constitutional requirements that the Brazilian Congress approve the deal. The newspaper also noted that the Cuban government preceded its offer of a medical program to Brazil with the creation of private corporations “to export labor and medical supplies” without identifying itself explicitly as the Cuban government, which would open it up to sanctions limitations. The Folha report quotes a memo on one of the Mais Médicos meetings reading, “The Brazilian side proposed US$ 4,000 (US$ 3,000 for the Cuban government and US$ 1,000 for the physician) … The Cuban side, however, said it was expecting US$ 8,000 per physician and counter-offered US$ 6,000 (US$ 5,000 and US$ 1,000 for the professional).” There is no indication that the doctors in question were students or fellows in this report, either. The status of the doctors is critical to the current disagreement between Bolsonaro, and anti-communist conservative, and the Cuban Castro regime. Critics of the communist dictatorship’s medical program note that the doctors work essentially as slaves – a term the doctors themselves have used – and generate millions used to later torture and imprison pro-democracy dissidents on the island. According to the BBC, Cuba generated $11 million off of the doctor slave trade in 2017, nearly all of the $14 million it generated in exporting goods and services. The end of Mais Médicos means a loss in profit of $332 million for Cuba. Bolsonaro issued a demand last week that the Castro regime pay its doctors a fair salary if it is to continue operating in Brazil. “We cannot allow Cuban slavery in Brazil or continue to enrich the Cuban dictatorship,” Bolsonaro said. He additionally demanded that Cuba allow doctors’ families to visit them in Brazil and that Brazil screen all doctors for quality control before they are allowed to practice in the country, a demand the regime referred to as insulting in its withdrawal announcement. Following Cuba’s withdrawal announcement, Bolsonaro stated that, upon taking office, he would grant political asylum to all Cuban doctors who wished to remain in Brazil and sought to incorporate them in society. Over 100 Cuban doctors sued in Brazil last year for fair salaries and the right to see their spouses and children; in response, the government froze their licenses to practice. Bolsonaro has also launched a program to replace the over 8,000 Cuban doctors expected to leave with native doctors and has publicly speculated on offering student loan forgiveness to attract more doctors to jobs in rural areas.